Why aren’t independent charters part of the CORE accountability system? LA School Report on Monday published a comprehensive top-to-bottom list of all 714 schools that were evaluated by a new accountability system LA Unified developed along with five other California districts, but missing from the data were independent charter schools. With over 210 of these kinds of schools and 101,000 students enrolled in them at LA Unified, charters represent a significant portion of the student population left un-evaluated for comparison. Independent charters are not included in the California Office of Reform Education (CORE)’s statistics, because CORE’s system was developed as part of a waiver its districts received from the federal government relieving them of some of the mandates of the No Child Left Behind law. Charters were not allowed to join in the waiver, according to Elizabeth Robitaille, senior vice president of Achievement and Performance Management and School Development and Support for the California Charter Schools Association. 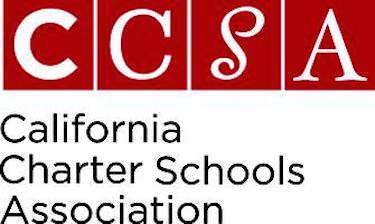 But CCSA has given a thumbs up to the CORE system and hopes the state adopts a similar one. Read LA School Report’s analysis of CORE data for LAUSD schools. While the state is developing a system that will incorporate some of the new data CORE now includes, such as graduation rates and English learner performance, it has not committed to a single numerical ranking system like CORE provides and may instead use more of a “dashboard” approach that would give a school several different scores. CCSA prefers CORE’s numerical ranking system, which gives schools a score of 1 to 100. When it comes to available measuring sticks for independent charter schools, looking up their performance on the 2015 Smarter Balanced tests is one way, as 60 percent of a CORE score is based on the same tests. The score can then be compared to the charter average, district average or state average. This data is based solely on test scores, as was the old state accountability system, the Academic Performance Index (API). API was discontinued after 2013 as the state prepared the new Common Core-aligned Smarter Balanced tests, which began last year. For a broader look at more charter school data there is CCSA’s Portrait of the Movement annual report, which has been on hold since 2014 as CCSA retools the report to incorporate the new Common Core standards and to include college readiness, Robitaille said. Once the state releases the 2016 Smarter Balanced scores, “(CCSA) will produce academic accountability report cards for all schools in the state using this information and will post them on our snapshots website. And then we’ll issue our Portrait of the Movement, aggregating and assessing this data, along with a sortable spreadsheet of data for the public,” Robitaille said. In the meantime, Robitaille pointed to the Center for Research on Education Outcomes (CREDO) report on Los Angeles, “the most robust research report on LA that has been done recently,” she said.